Some issues of these newspapers are on microfilm at the University of Georgia at Athens and are available through InterLibrary Loan. Marion County patriot [and] Ellaville citizen. covered Schley, Webster and Marion. has since become the Tri County Journal and Chattahoochee Chronicle. for the Humanities funded a large portion of retrospective microfilming, as well as cataloging all Georgia newspaper holdings in the OCLC union catalog. These microfilm from the Georgia Newspaper Project can be available through interlibrary loan. Contact your local public library or the University of Georgia for details. Keep in mind that the Journalism School was only able to microfilm what was was found; some papers apparently were not archived and/or others just didn't survive. Some that I've researched personally are: Polk County (Cedartown weekly); Cherokee County Tribune; Tifton, Douglas County, Grady County (Whigham), Meriwether County. I also was researching Haralson County and I believe checked a Bowdon paper. There were some earlier papers in Atlanta prior to the Atlanta Journal and Consitituion (of which there are drawer after drawer full). There is a parking deck on Jackson street (the street past the Arches if you are heading east). When you come out of the parking deck, walk across Jackson onto campus (there will be steps). After you reach the top of the steps, turn left and continue down the sidewalk to the Main Library. After entering the Library walk toward the back of the building to the stairs. Go down to the next floor, turn left and immediately turn left again. You won't be able to miss the many file cabinets. Everything is self-serve. Don't expect much help. There is a wooden file system like the ole' Dewey decimal one every library used to have for you to check the existence and location of your microfilm. It is indexed by city and county. I had been researching here for awhile before I even knew there is also a genealogy library upstairs. The hours for it vary and it isn't open as many hours as the main library. 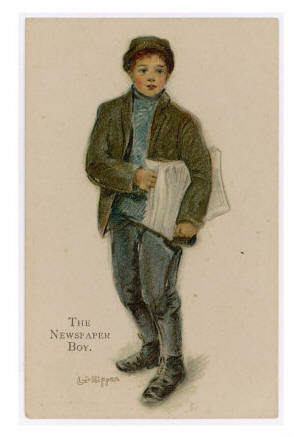 The newpaper and census microfilm; however, is available any time the main library is open including late at night and on Sundays. I have had great success at this library and enjoy the students. They have been without exception kind and helpful. There is a light lunch place in the building near the entrance. Another big perk: an ATM! Hope this helps someone.